Black Ink: Progress! And the Storymakers Conference! Progress! And the Storymakers Conference! I had an exciting moment this morning. When I stepped on the scale, my weight had hit a new low. Hooray! (When I say new low, I mean new low for my current life--as in I now weigh about what I did twenty years ago . . . when I was nine months pregnant with my first daughter. Yeah . . . I've changed a little since then, huh?) This is great progress for me, and I'm very excited about it. I've lost eighteen pounds since this summer. I want to hit my goal weight by the beginning of May. And no, I won't worry if December is a bit slow on the weight-loss front or even involves some backsliding, what with Christmas and all. Mmm, treats. I'm hoping to reach my goal weight by the beginning of May--hoping to fit into that red dress for the Whitney gala--so I have five more months to go. Speaking of which, today is the day that registration opens for the LDStorymakers Writers Conference 2012. Yay! Attendance is capped at 450 people per day this year, so if you're interested in going, make sure to register fast (I got word this morning that one of the agent's pitch sessions was already full--the conference organizers were going to see if they could add more sessions, but right now, there's a waiting list for that agent). I am SO excited for the Storymakers Conference. I absolutely love it--it's an excellent conference and it is so fun to hang out with a bunch of writers. Are you planning to attend the conference? Have you registered? Hmmm. Storymakers might be the motivation I need to lose some weight too. I just need to lose 15-20 lbs. I can do that in 5 months. 3 or 4 lbs a month. I am so excited for Storymakers. I'm going both days this time. One day was not enough last year. I have the schedule all printed and the classes I want to go to marked. I learned so much at last year's Storymaker and met so many wonderful people. I registered today and even got some of the extras. No pitches though. Congrats on the weight. I keep trying in that arena. I need to follow Yoda's philosophy better. I thought you looked thinner! I'm impressed you have already lost 18 lbs. Good job! Yes, I've registered! The morning registration opened. I love that conference!! I'm in! I look forward to seeing you again, Stephanie. ...just be sure to lemme kiss your adorable feets in the Great Beyond. See ya soon. Way to go on the weight-loss thing. 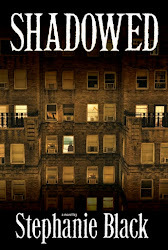 I've just become familiar with your books (recommended to me by Kirk Shaw) and I've loved reading them! I love Storymakers and this year will be my third year. See you there! Thank you, Julie! I look forward to seeing you at Storymakers! I write LDS suspense fiction. 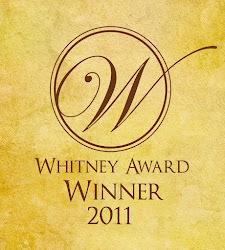 I'm a four-time Whitney Award winner for Best Mystery/Suspense, most recently for Rearview Mirror (2011). 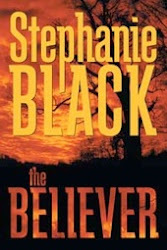 Visit my website at www.stephanieblack.net.